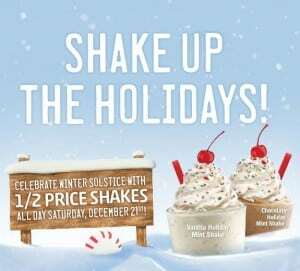 To celebrate Winter Solstice, Sonic will be offering half price shakes all day long on Saturday, December 21st. You can click here for more info. I’d call your local Sonic before you head out, just to confirm that they are participating.